All-Area Newcomer of the Year Audrey Hornaday of Sharyland Pioneer. The Diamondback guard dazzled in her freshman season. EDINBURG — The 2017-18 season was already a banner year for Sharyland Pioneer girls basketball, and the Diamondbacks finished a game out of fourth place in District 31-5A. A reason for optimism around the program is point guard Audry Hornaday, who burst onto the scene during her freshman season. The 5-foot-8 Hornaday proved her worth in more ways than one, leading her team in points (10.0) and ranking second in rebounds (5.3) while finishing in the top 10 in assists (5.3) and steals (3.9) per game amongst players competing in the Upper Valley. Hornaday’s marks earned her the honor as The Monitor’s All-Area Newcomer of the Year. Hornaday’s freshman year has brought the Diamondbacks program notability not previously seen in its short existence. She shared District 31-5A’s Newcomer of the Year award with Mission Veterans’ Kaylee Flores and Laredo Nixon’s Alyssa Mata, but Hornaday was the only freshman. Being under the radar doesn’t faze Hornaday. Perhaps the most eye-opening of Hornaday’s honors after the season came from the Texas Association of Basketball Coaches. The TABC released its Class 5A Region 4 team, which features the best players from an area that includes the Rio Grande Valley, Corpus Christi, San Antonio and Austin. Eighteen of the 20 players on the list were either juniors or sophomores. Hornaday was the lone freshman to make the team. 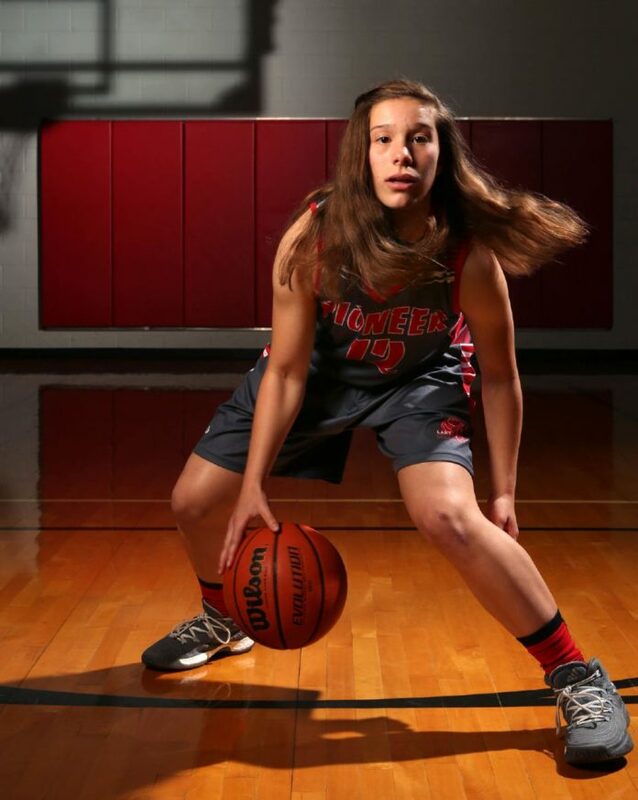 Hornaday winning The Monitor’s All-Area Newcomer of the Year award marks the first time any Sharyland Pioneer girls basketball player has earned an All-Area award. But she is confident the Diamondbacks will be a formidable threat sooner rather than later.